​Stuart Manton has supplied us with the following information. 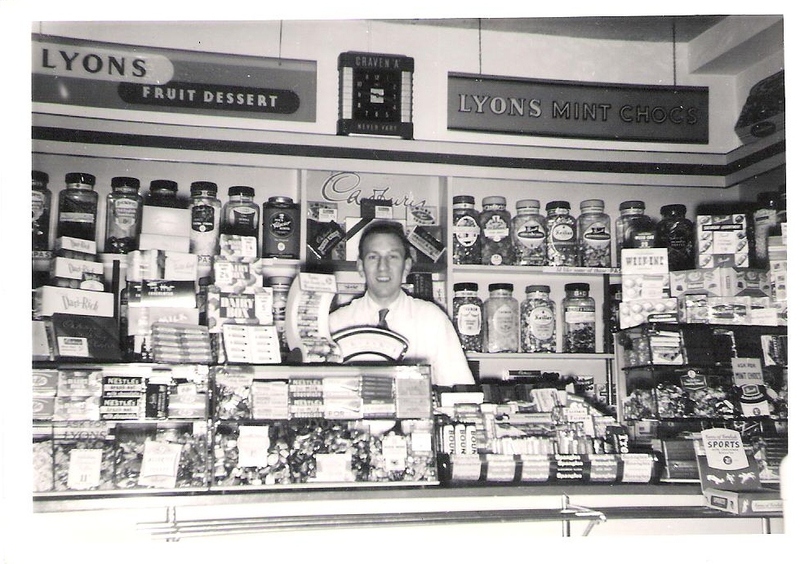 "In the late autumn of 1957 my father, Roy Manton, was the manager of Thomas’s newsagents at no. 9 Suffolk Parade, and we lived as a family above and behind the premises. 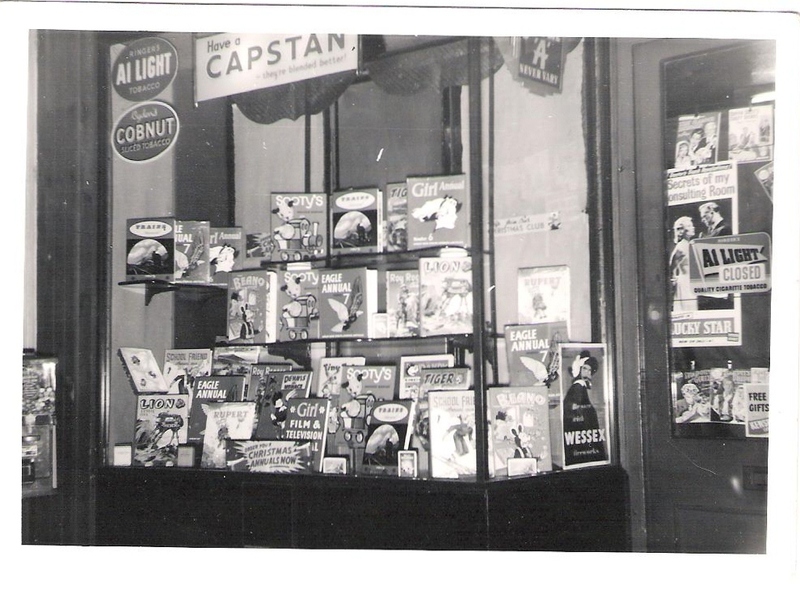 Although I was only a few months old at the time I have managed to date the photographs by checking the publication dates of the Annuals on display in the window, using the internet. Most of the titles no longer exist and I wonder how many of your viewers will remember them! 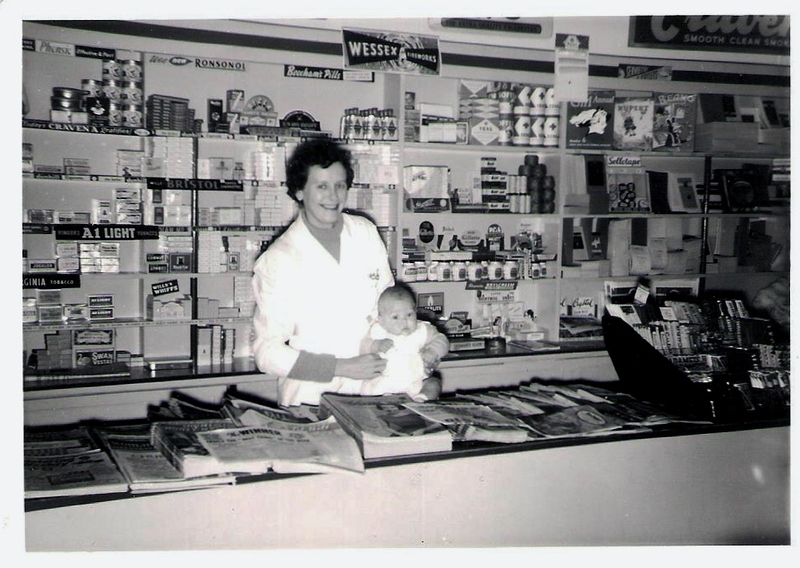 In the 1950’s most shops seem to have had quite elaborate displays to attract customers and these must have taken some time and thought to prepare. There is an advertisement for Wessex fireworks in the shop window, so this is presumably in late October or early November." "We lived in Suffolk Parade from the middle of 1957 until late 1960, when I was three years old. My sister was born at no 9 in May 1958. The shop was much altered when it became Severn Catering and was extended back into what had been our living room and kitchen. However the shop front has remained the same over the years and it still recognisable today, although it has now become a rather smart hairdressers. We had a small yard at the rear to play in but I think it was mainly laid to concrete. I remember that there was a large billiards table in one of the upstairs rooms and I suppose that is long gone."